The unidentified woman is said to be blonde, tattooed and had been wearing a yellow bikini top with black bottoms at the time of the incident. She was allegedly photographed reaching inside a bundle of marijuana on Thursday (September 13), although only half of her face is visible in the photograph. Officers remain hopeful due to the tattoos on her back, she will eventually be identified. 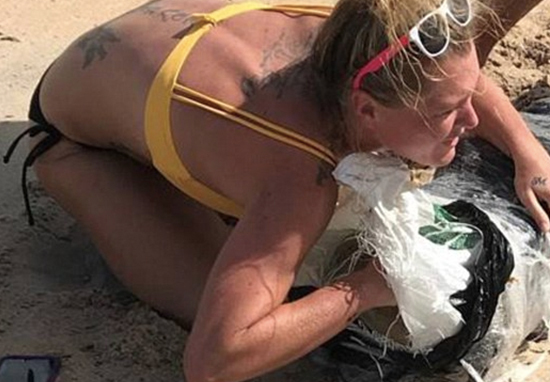 Separate batches of marijuana – adding up to around 100lbs – were found washed up on Flagler beaches from Wednesday, September 12. Further batches were discovered in the nearby counties of Volusia and St Johns. 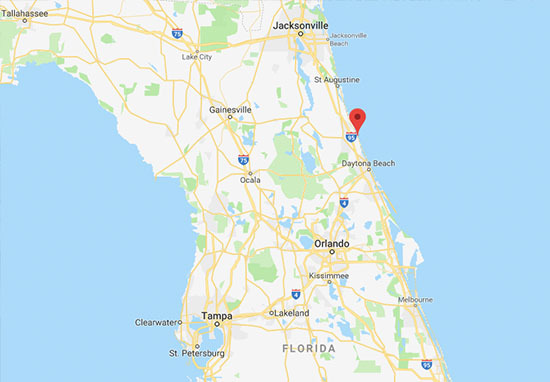 On Thursday, an unnamed caller told police she could see multiple packages washed up on a beach at Jungle Hut Road Park; around 10 miles away from Flagler Beach. After arriving at the scene, officers arrested 61-year-old Robert Kelley for allegedly stealing 11 pounds of the drug, before taking him into police custody. Kelley has claimed he only took a portion of the drug to keep in his vehicle because he was uncertain whether or not officers were coming to address the matter. Kelley has reportedly been arrested on charges of marijuana possession over 20 grams. He is now being held at the Sheriff Perry Hall Inmate Detention Facility under a $2,500 (£1912.77) bond. The recovered marijuana has since been handed over to US Customs and Border Protection, who are continuing to investigate the matter further.